With more than a quarter of a million Scottish nationals now living in London and the South East, Burns Night celebrations in England have become more prominent than ever, with such a variation of events taking place – both traditional and contemporary – and a wide selection of Scottish restaurants. Traditionally, it seems iniquitous to celebrate with any drink other than Scotch whisky. 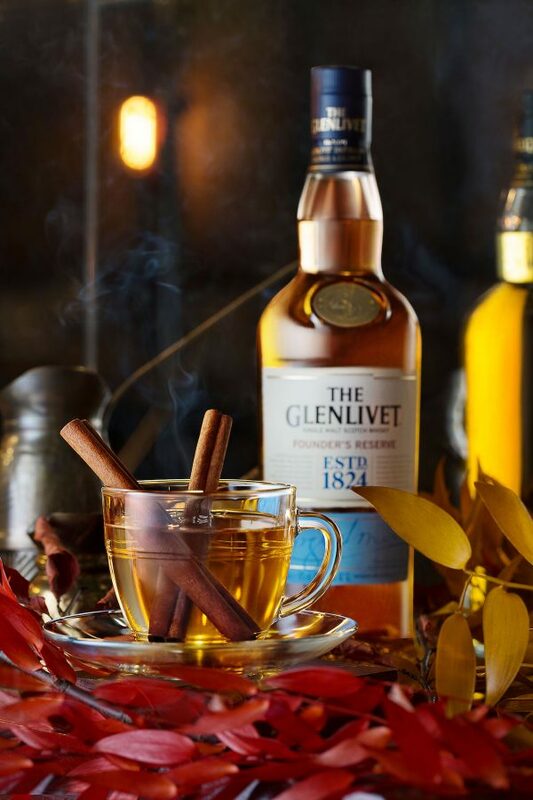 First created in 1824, The Glenlivet is considered the original Speyside single malt Scotch whisky, renowned for its smooth, fruity flavour profile. Almost 200 years later, The Glenlivet is the biggest contributor to volume growth of the single malt whisky category worldwide, adding more than any other single malt whisky brand over the past five years. Mix all ingredients together and warm in a sauce pan. Garnish with a cinnamon stick and two cardamom pods (optional). Further information on The Glenlivet can be found here.